Nothing But You, Nicky is a driven, talented and charismatic artist based in San Francisco. She is particularly striking for her distinctive vocal skills. Her dynamic approach to singing covers an ample range, as she is able to seamlessly float from moody and introspective vocals with an intimate feel, to larger-than-life hooks that are easy to sing along and remember. Nothing But You, Nicky grew up in Japan, but relocated half the world away, heading for the sunny shores of California. Currently, she is based in San Francisco, where she lives and works on her musical craft. Nicky’s performative approach is direct and inspired: her songs are honest and personal, while her far reaching vocal performances exude feeling and emotion, with a really expressive sense of musicianship, inspired by legendary performers such as Ella Fitzgerald, Nina Simone, Whitney Houston or Celine Dion, just to mention but a few. Initially, she collaborated with a producer as a duo, but later focused on her solo work, performing music with an eclectic range of influences and a kaleidoscopic vibe! 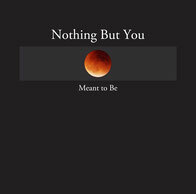 The Birth of " Nothing But You"
Nothing But You is a unique San Francisco bay area artistic endeavor blending ambient coloring with a loungy flavor. This creates the perfect setting for Nicky's sensual and soulful voice. Along with Phill the duo creates a beautiful sound collage of Rock, Soul and Jazz. In 1964, Nicky at the age of 3 met Phill. They were in the same kindergarten and elementary school, growing up in the same neighborhood of Marumori, a small town in Japan surrounded by beautiful nature. Nicky was a very popular girl with a cute smile and lively personality. On February 9, 2016, during Nicky’s audition with “The Voice” in Chicago to become a Diva, she received an email from her junior high school friend in Japan about their upcoming reunion. And just by chance, her friend mentioned Phill. Pill had become a genius artist with great sense of music, art, hair & make up and fashion who would be able to make Nicky world famous Diva as her producer. Soon thereafter through social media networking, Nicky and Phill got reconnected again after 40 years! That was how their collaboration started as “Nothing But You”. Phill & Nicky's Hometown Movie " DREAM "